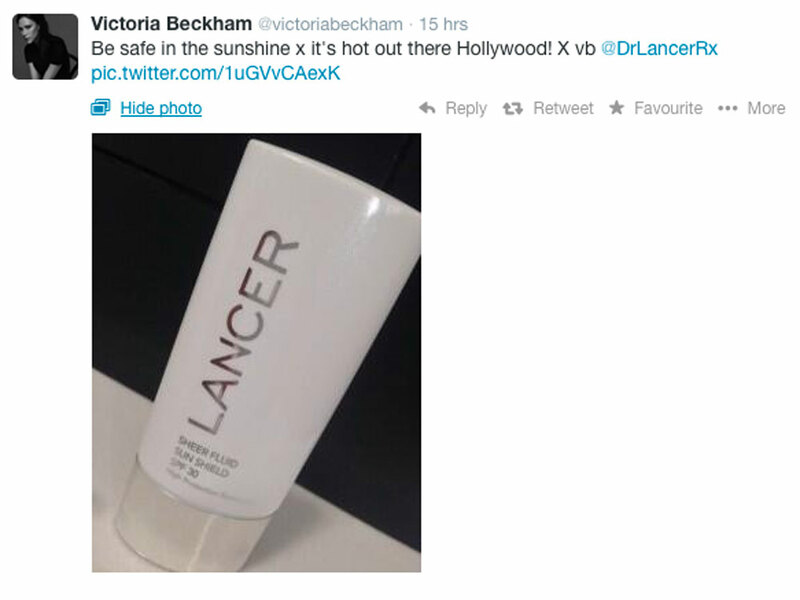 Victoria Beckham has revealed her favourite SPF. Thank you kindly, VB. Victoria Beckham knows a thing or two (or ten) about looking good, so when she offers to share beauty advice with us, we’re all ears. Not just an SPF offering UVA/UVB protection, this cream is also made up of rare grape stem cells and a rare DNA repair complex which helps to anti-age and repair cells. The non-greasy formula also means it makes an excellent SPF moisturiser and make-up primer. Here comes the price tag… Victoria’s sun cream of choice comes in at £40. Available from Harrods from May 2014.